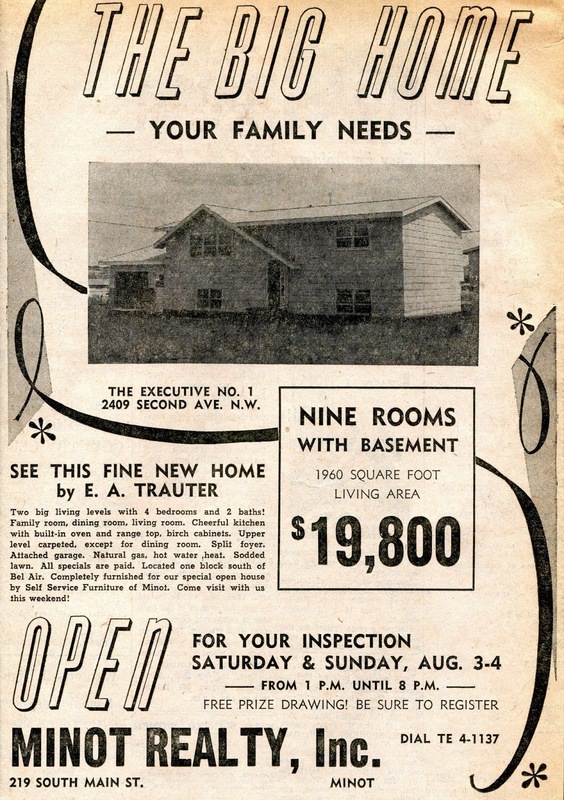 1963 – Realtor ad in the newspaper for A hone called “The Executive”. This house featured 1960 square feet and nine rooms with a basement. The house had 4 bedrooms and 2 bathrooms. The kitchen featured birch cabinets with a built-in oven and range top. Also an attached garage, hot water, heat and a sodded lawn. All specials were paid and the house was located close to Bel Air School. 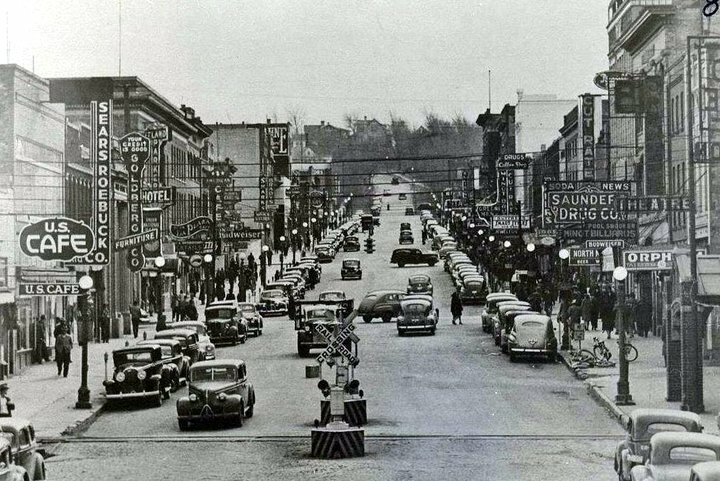 The price for the house and lot - $19,800.00 …… Point of interest in a later newspaper ad from 1963 surprise was expressed that in some new development areas, new homes were selling for as much as $35 to $40,000.00.